New Coupon: $1/1 Vaseline Lotion = Free at Walgreens! 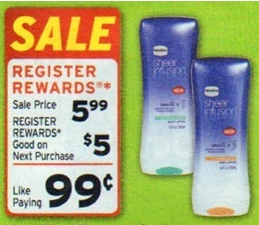 There is a new coupon for $1/1 Vaseline Intensive Rescue Lotion or any Vaseline Lotion. You can head over here to print your coupon. Note: to get the coupon you will need to be logged in. Then click “Special Offers”. Then click “Get Coupons” on the bottom right. PUR 1-Click Water Filter Giveaway!